Here’s my theory on frying food: It should be a lot like cleaning out your car. Don’t do it a lot, but when you do it, do it RIGHT. The good news is that fried food, especially this homemade chicken tempura, is much more satisfying than cleaning out your old Rav4. 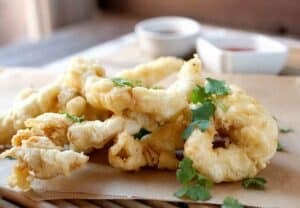 You can buy a lot of packaged tempura batters in the store these days, but you don’t need any of that to make a good tempura batter. All you need is a few key ingredients and a soft touch. Of course, once you have this tempura batter mastered you can tempura damn near anything. Veggies, shrimp, chicken… it’s your deep-fried world! 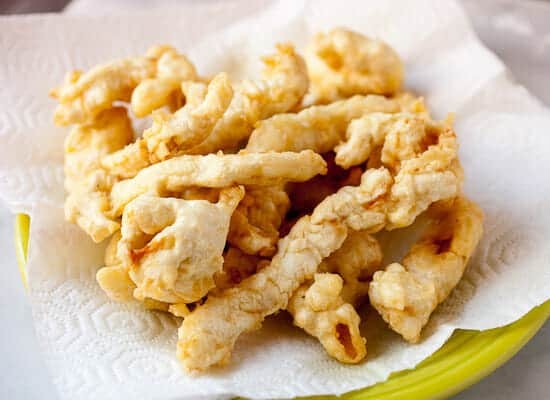 Perfectly fried chicken tempura strips are easy to make at home with these simple tricks and techniques! 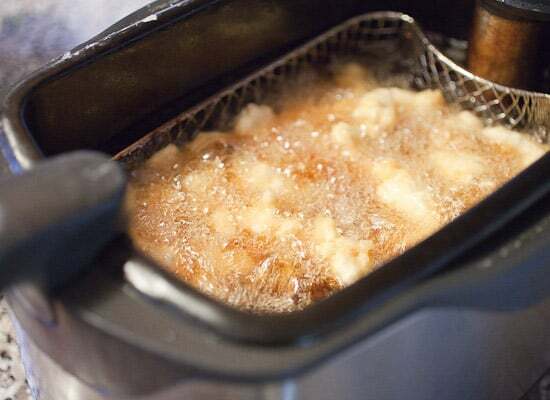 1) Preheat oil in a deep fryer or in a large pot until it reaches 350 degrees F.
2) Slice chicken into thin strips. Dust chicken in corn starch. 3) In a large bowl, add egg, salt, and club soda and mix together with chop sticks. Add in cake flour in 1/2 cup batches and use chopsticks to lightly stir it together. It’s okay if there are clumps. Finished batter should be a thin pancake batter consistency. Don’t over-mix it. 4) Dunk dusted chicken in tempura batter and then drag each piece through the oil so it cooks slightly before letting it go. Don’t just drop them in the oil or they will sink to the bottom and stick. Cook the chicken in batches for 4-5 minutes until they are golden brown and cooked through. Test a thicker piece to make sure they are done. 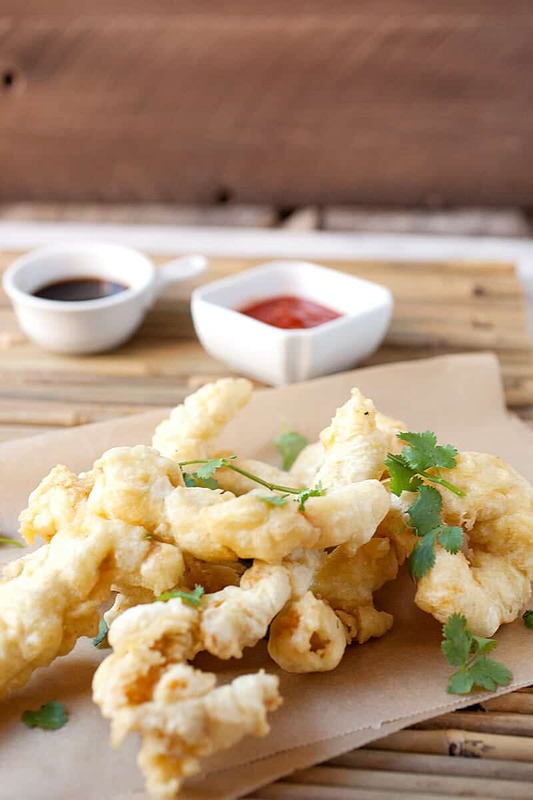 Drain chicken tempura on some paper towels and serve as an appetizer or over rice as a meal with soy sauce and chili garlic sauce. This is not Southern fried chicken. Don’t try to tempura fry a whole chicken breast or thigh. Terrible idea. Because the batter is so thin, you want thin strips of chicken that cook quickly. 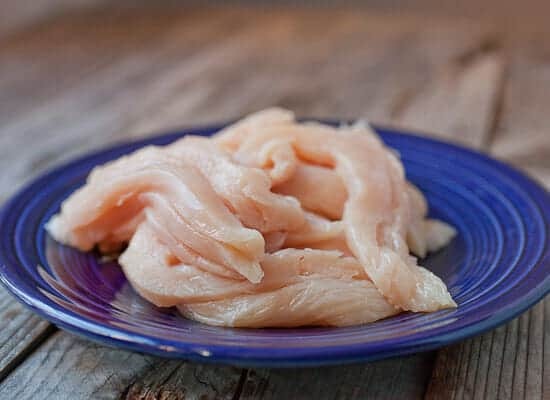 For ease, just start with chicken breasts and slice them into long strips. The shape is actually your call. I like long strips for maximum surface area, but you could also do thin cubes. Tempura should be a very thin fried crust and it should be super-crispy. What it should not be is doughy. The trick to making this work is to use a flour that doesn’t have a lot of gluten in it (but has some to keep the business together). Enter cake flour. 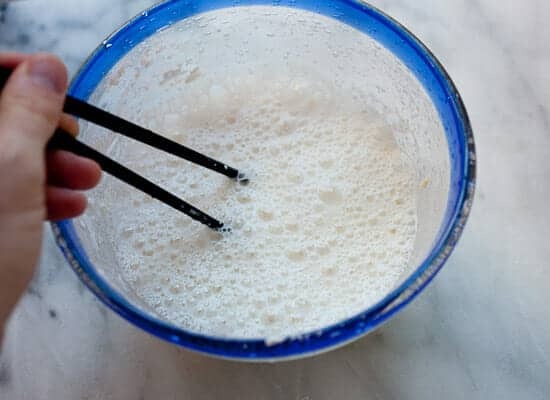 The next trick is to use chop sticks or something thin to mix the batter. This may seem silly, but there’s a real reason for it. It prevents you from over-mixing the batter. A few flicks of a whisk and you’ve gone to far, but you’d have to really work to over-mix the batter with chopsticks! 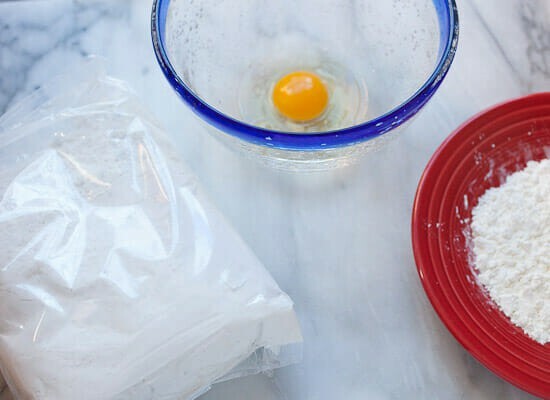 Start by stirring together the eggs, salt, and club soda (again, save the flour to reduce over-mixing). When you add the flour, kind of just poke the batter until it comes together. Don’t worry about lumps or even clumps! They will cook out during the fry. I would start with 1 1/2 cups of cake flour and if you need a little more then add it. 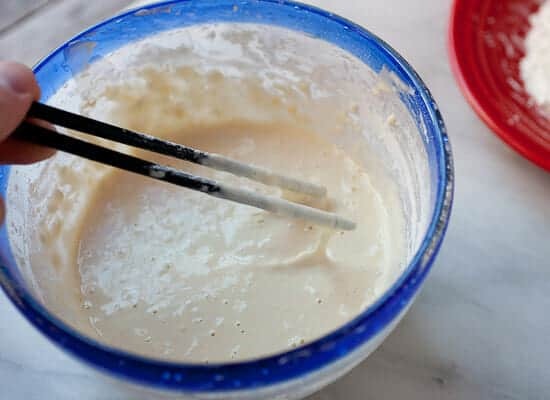 The finished batter should just barely cling to the chopsticks and be like a loose pancake batter. 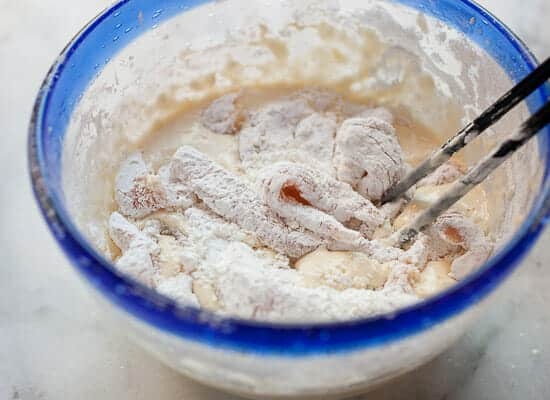 Before you dunk the chicken strips in this tempura batter, dust them with some corn starch. 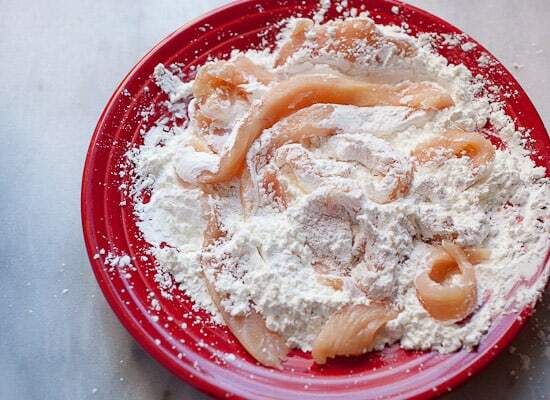 This will make for extra crispy chicken and also help the batter stick to the chicken. Okay. Now it’s time for the batter. When you fry these pieces, do not just drop them in the oil. They will sink and stick. Instead, drag the pieces through the oil a bit so they seal and then you can release them. Fry the pieces in batches for 4-5 minutes until they are golden brown and cooked through. I recommend testing a larger piece by cutting into it to make sure it’s cooked through. When the chicken tempura comes out of the fryer, let the pieces drain on a few paper towels and you’re ready to rock! You can serve these strips as appetizers with some dipping sauces (chili garlic sauce and soy sauce for starters) or you can serve them over rice and make a meal out of it. When you fry food, do it right. It doesn’t get much more right than these chicken tempura strips! Great tips here, Nick. I’ve always had the “sink and stick” problem when using my deep fryer and I had no idea how to prevent this. I can’t wait to try your trick of dragging each piece though the hot oil! Awesome! I have to try this tempura batter for deep fried asparagus. My son will love the chicken but deep fried asparagus is the cat’s whiskers, the bee’s knees, and all that. Any alternative for club soda? Thanks for this! I’m always looking to improve my tempura game, lol.